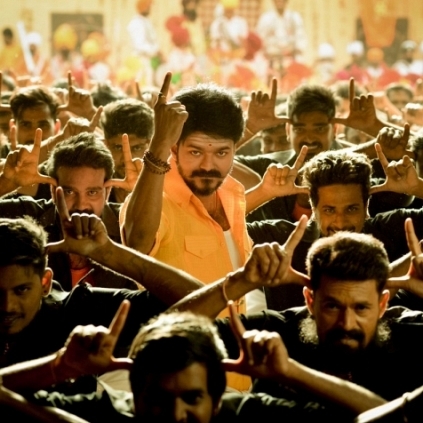 Hema Rukmani, CEO of Thenandal Studios Limited has now announced that Vijay's dearest friend Sanjeev, who's also an actor and a video jockey, would be the main host of Mersal audio launch. She tweeted, "Happy to announce @actorvijay sir's friend Sanjeev as the main host of #Mersal #audiolaunch #nanbenda @ThenandalFilms @MuraliRamasamy4". Apart from Sanjeev, VJ Ramya would be the co-host for the event. Vijay’s Mersal 4th Song Macho Has Been Sung By Shwetha Mohan And Sid Sriram With Lyrics By Vivek. People looking for online information on Mersal, Sanjeev, Vijay will find this news story useful.